AddÉnergie, the Canadian leader in electric vehicle charging solutions, announced substantial financial support from Canada’s Department of Natural Resources to deploy 25 electric vehicle (EV) fast-charging stations at Canadian Tire Gas+ locations across Ontario as part of the expansion of its FLO charging network. “The support from Natural Resources Canada accelerates our efforts to deliver smart, reliable and safe charging solutions for EV drivers wherever they are – whether it’s at home, at work or on the go,” says AddÉnergie President and CEO Louis Tremblay. “This partnership with Canadian Tire combines the strength of two category leaders to expand and accelerate the electrification of transportation across the country”, Tremblay added. The announcement was made at a Gas+ station in Etobicoke, where Tremblay was joined by federal Natural Resources Minister Jim Carr, along with Bruce Allen, President of Canadian Tire’s Petroleum Division. The $1.8M program is funded by AddÉnergie, along with a repayable contribution of $837,500 by Natural Resources Canada through its Electric Vehicle and Alternative Fuel Infrastructure Deployment Initiative. This financing is part of a $62.5-million federal commitment made in Budget 2016 to fund new fast-charging infrastructure for electric vehicles (EVs) in Canada, as well as natural gas and hydrogen refueling stations along key transportation corridors. 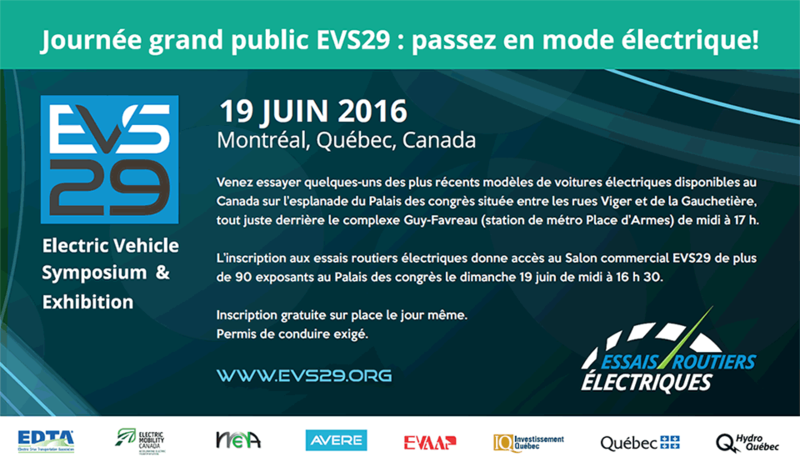 The stations will be connected to the FLO charging network, operated by AddÉnergie in several Canadian provinces. FLO is Canada’smost comprehensive and reliable electric charging network, providing EV drivers with more than 2,500 charging stations from coast to coast. All stations linked to the FLO network are connected and monitored remotely by the AddÉnergie national operations centre to guarantee reliability and service quality for users. Free membership in the FLO community also offers the convenience of a mobile app that allows EV drivers to easily locate available stations and pay for charging sessions. The charging stations will be installed strategically along some of Ontario’s busiest highways to facilitate EV travel in and between cities. 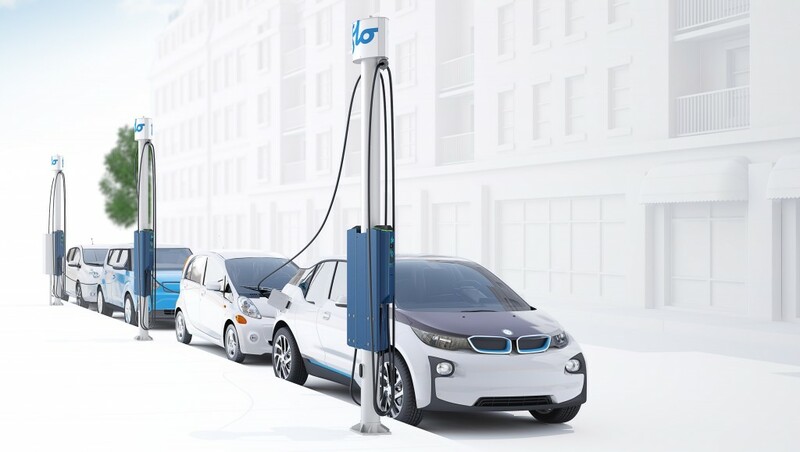 Each location will be equipped with a direct-current fast charger (DCFC) and a dual Level 2 curbside charging station to accommodate all types of electric vehicles. DCFCs are designed to charge up to 80 percent of an EV’s capacity in 20-30 minutes, depending on the model. They are compatible with vehicles equipped with CHAdeMO or SAE Combo charging ports, such as the popular Nissan Leaf, Kia Soul EV, BMW i3 or Tesla Model S (adapter required). Dual Level 2 curbside charging stations will charge most electric vehicles to their full capacity in 3-4 hours and is compatible with both all-electric vehicles and plug-in hybrid cars. Capable of charging 2 EVs simultaneously, they are equipped with a clever automatic cable retrieval system to retract cables after each use. “Manufactured in Canada and designed to stand up to the harshest weather conditions, the quality of our stations is unmatched in the industry,” says Mr. Tremblay, who notes the company already operates more than 70 fast-charging stations across Canada with an industry-leading 99.9 percent reliability record. The charging stations for the project are designed and developed by AddÉnergie at its facilities in Québec City, and will be manufactured at its plant in Shawinigan, Québec.